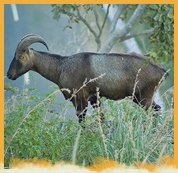 Eravikulam Wildlife Sanctuary is a sanctuary set up for the preservation of the endangered Nilgiri Tahr. The main inhabitant of the park is Nilgiri Tahr. Now the park has the largest known population of Tahr's existing in the world. The park also shelters Atlas Moth, Elephants, Sambhar's, Gaurs, Lion-tailed Macaque, Nilgiri, Langur, Tigers and Leopards. Please provide us your contact number and convenient time, our expert will call back to you. Spread across an area of 97 sq. kms, the park exhibits the breathtaking natural splendor of rolling grasslands and exotic flowers. Anamudi, the highest peak south of Himalayas, towers over the sanctuary in majestic pride. The Atlas Moth, largest of its kind in the world, is a unique possession of the park. Three major types of plant communities are found in the Park - grasslands, shrublands and forests. The terrain above 2000m is covered primarily by grasslands. However, there are numerous small patches of forests in hollows and gullies in these areas. The deep valleys are extensively forested. Shrublands predominate along the bases of the cliffs and interspersed with rocky slab areas. The antibacterial Eupatorium glandulosum is found here. Anamudi (2,695 m) is the highest peak in south India and located within the park area. This is a good place for trekking. The climate of this region is greatly influenced by the southwestern monsoon. June, July, and August are the monsoon months and this is the period when the region receives maximum rainfall while April and May are the hottest months. January and February receive little rain and the weather is generally clear during this time of the year. From September to December, the northeast monsoon brings a little rain and this period along with the months of January and February are the best time to visit this park. Ask us about Indian wildlife, national park tours, Wildlife tour Packages and Online booking for wildlife tour to India. Gorgeously established in the divine hill station city of Munnar India, Tall Trees Resort excels in standing out for its tastefully done living standards adequately modern to match the requirements of the tourists. Experience the aesthetic Indo-British architectural marvel with Club Mahindra Resort Munnar, as the resort is a perfect representation of panache and comfort stay for its tourists. Well furnished with ethnically designed. The main inhabitant of the Eravikulam park is Nilgiri Tahr. Now the park has the largest known population of Tahrs existing in the world. The park also sheltersgaur, indian muntjac, sambar deer, golden jackal, jungle cat, wild dog, dhole, leopard, tiger, nilgiri langur, stripe-necked mongoose, indian porcupine, nilgiri marten, small clawed otter, ruddy mongoose, and funambulus sublineatus|dusky striped squirrel. 132 species of birds have been recorded which include endemics like Black-and-orange Flycatcher, Nilgiri Pipit, Nilgiri Wood Pigeon,Yellow-Throated Marten, White Bellied Shortwing, Nilgiri Verditer Flycatcher and Kerala Laughingthrush. Location : The National Park is 97 kms. Along the western Ghat in the Idukki district of Kerala in India, between 10º05'N - 10º20'N latitude and 77º0'E - 77º10'E longitude. Area	: 97 Sq Kms. Park visiting hours	: 7:00 am to 6:00 pm. By Air : Cochin International Airport (143 km) is the nearest airport from Eravikulam and connected to many places in India by regular flights. The airport is also connected to places in the Middle East by regular flights. By Rail : Nearest Railway Station is Aluva in Ernakulam district, 115 km from Munnar. Other railway stations are Kottayam about 142 km from Munnar and Ernakulam, about 130 km from Munnar. By Road : A motorable road is there up to Rajamalai, the park headquarter. From Rajamalai, one need to travel on foot for around 18 km. Rajamalai is at a distance of around 15 km from the Munnar town connected to many places in Kerala and Tamilnadu.